Ultra high-performance dry traction for select SuperCars. Race-inspired ultra high-performance tread compound helps provide excellent dry traction. 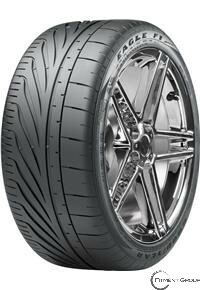 Asymmetric, directional tread design with massive outboard tread blocks helps enhance dry cornering grip. Sweeping AquaChannel® grooves on the inboard side of the tread help enhance wet cornering grip. Innovative multi-radius mold shape helps offer precise handling and smooth, even wear. Serrated band sidewall styling with distinctive lettering gives an ultra high-performance appearance.